The Cleveland Browns Radio Network is an American radio network consisting of 25 radio stations which carry coverage of the Cleveland Browns, a professional football team in the NFL. WKNR/Cleveland (850 AM), WKRK-FM/Cleveland (92.3 FM), and WNCX/Cleveland (98.5 FM) serve as the network's three flagship stations. 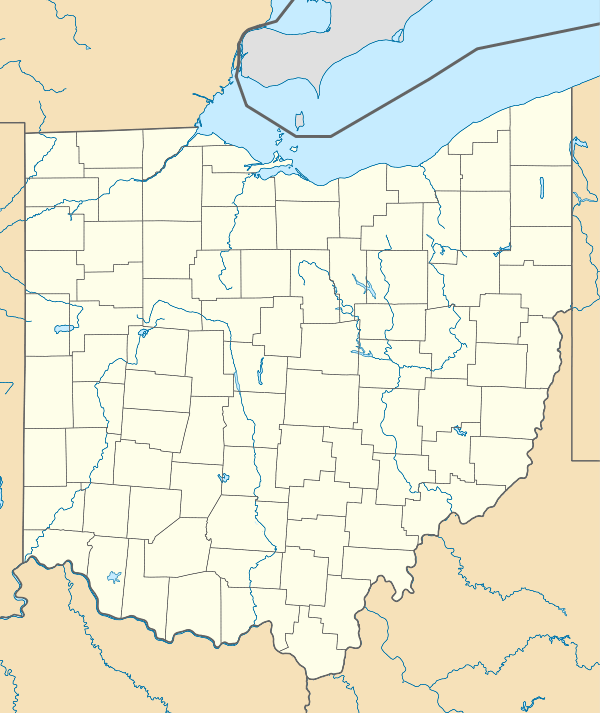 The network also includes 22 affiliates in the U.S. states of Ohio, Pennsylvania, and West Virginia: 11 AM stations, one of which extends its signal's range with a low-power FM translator; and 11 full-power FM stations. Jim Donovan is the current play-by-play announcer, while Doug Dieken serves as color commentator. In addition to traditional over-the-air AM and FM broadcasts, the Browns are available on SiriusXM satellite radio, and online with NFL Audio Pass. Following reactivation of the Cleveland Browns franchise in 1999, flagship rights were awarded to Cleveland oldies station WMJI, then owned by Jacor Communications (later absorbed by Clear Channel); "secondary programming", including a weekly show featuring the Browns head coach, aired on AM sister station WTAM. By 2002, FM coverage had shifted from WMJI to rock station WMMS. Most games were also simulcast on WTAM during this period. In March 2013, WKNR owner Good Karma Broadcasting (now Good Karma Brands), together with WKRK-FM/WNCX owner CBS Radio, announced a new "long-term deal" with the team. ↑ Kleps, Kevin (March 27, 2013). "Get ready for saturation radio coverage of the Cleveland Browns this year". CrainsCleveland.com. Crain Communications. Archived from the original on March 29, 2013. Retrieved October 11, 2014. Multiple sources have confirmed what The News-Herald first reported Tuesday night: WKNR-AM, 850; WKRK-FM, 92.3; and WNCX-FM, 98.5 will split the rights to broadcast Browns games this season. ↑ Finnan, Bob (September 6, 2011). "Jim Donovan discusses returning to Browns' radio booth". News-Herald.com. The News-Herald. Archived from the original on October 11, 2014. Retrieved October 11, 2014. He'll join color analyst Doug Dieken behind the microphone for the Browns-Bengals game on the Browns radio network... Donovan is starting his 13th year of doing the Browns on the radio. ↑ "Cleveland Browns gain radio voice in Columbus". CrainsCleveland.com. Crain Communications. May 22, 2013. Retrieved October 11, 2014. Columbus radio station WZOH-FM, 95.5, will join the Cleveland Browns Radio Network starting in 2013. Kiesewetter, John (September 13, 2013). "Cleveland Browns games on WHIO-AM, FM". The Cincinnati Enquirer via Cincinnati.com. Cincinnati.com. Archived from the original on September 17, 2013. Retrieved October 11, 2014. Dayton’s WHIO-AM (1290) and WHIO-FM (95.7) picked up the Cleveland Browns radio network for this season. ↑ Press release (September 3, 2014). "SiriusXM Announces Programming for 2014 NFL Season". Investor.SiriusXM.com. SiriusXM. Archived from the original on October 11, 2014. Retrieved October 11, 2014. Throughout the season every NFL game is available on all Sirius radios, and on XM radios with either a Premier or All Access package. ↑ "Listen to NFL Games Live". AudioPass.NFL.com. NFL Enterprises LLC. 2014. Archived from the original on October 11, 2014. Retrieved October 11, 2014. Plans & Pricing... Season Plus: Listen to every NFL Game live - including Playoffs and Super Bowl XLIX. ↑ Brown, Roger (January 26, 1999). "WMJI to Carry Browns Games: Oldies Station Signs 3-Year Deal". The Plain Dealer. Plain Dealer Publishing Co. p. 1A - National. The Browns and Jacor Communications, the Kentucky company that owns WMJI, agreed yesterday on a three-year deal for the station to air the games. ... Most of that secondary programming... will be on WTAM, Meltzer said yesterday.